There may be some truth to the old New York proverb: ‘A nickel will get you on the subway, but garlic will get you a seat’! Known as ‘the stinking rose’, garlic has been used since ancient times as both a food and a medicine. It has been found in Egyptian pyramids and ancient Greek temples, and has even been referenced in the Bible! It’s not by chance that these ancient cultures all came to the same conclusion about garlic – it’s a pretty awesome herb. And modern science tends to see garlic in the same light, as a powerful food to help prevent and treat so many different health issues. What’s your take on the health benefits of garlic? Have anything else you’d like to share? Let me know in the comments below! Before we go any further, let’s address your most obvious concern (and mine! ): garlic’s less than desirable eau de parfum. 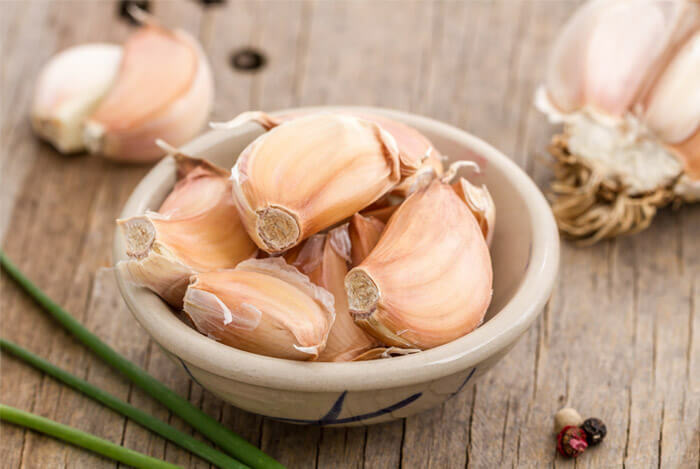 I don’t want it to hold you back from eating more garlic – you’ll be missing out on some incredible health benefits. Yes, your breath may have that distinctive odor after eating it but there are certain ways to lessen the smell. Scientists have discovered that eating garlic along with milk can stop the stink. Apples, parsley, and spinach are also said to help garlic breath, as is a little lemon juice. You could also try oil pulling, which improves breath and has added health benefits. And, you don’t have to eat that much to reap some of the benefits. Try a clove a day and see how that works for you…and those around you. I keep coming across articles that highlight the incredible vitamin and mineral content of garlic, which surprised me a little. After all, a tiny clove can’t contain 23% of your recommended daily value (RDV) of manganese, can it? It turns out, it can’t! But 9 cloves can. Here’s the nutritional profile of one garlic clove, from NutritionData.com. 1% of both calcium and selenium. 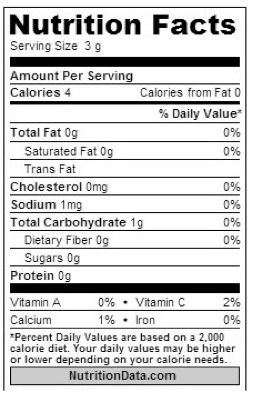 Of course, calorie for calorie it’s nutrient dense but in the real world, it’s not going to be your primary source of vitamins and minerals. That said, garlic is an amazing healing food and definitely gives you plenty of bang for your nutrition buck. Here are 10 reasons why you should be eating garlic every day. Scientists believe that eating a clove of garlic every day will reduce damage to your heart and maintain a good blood flow in the aorta. It can also slow down hardening of the arteries (known as atherosclerosis), as demonstrated in a four year study where participants took garlic powder every day. 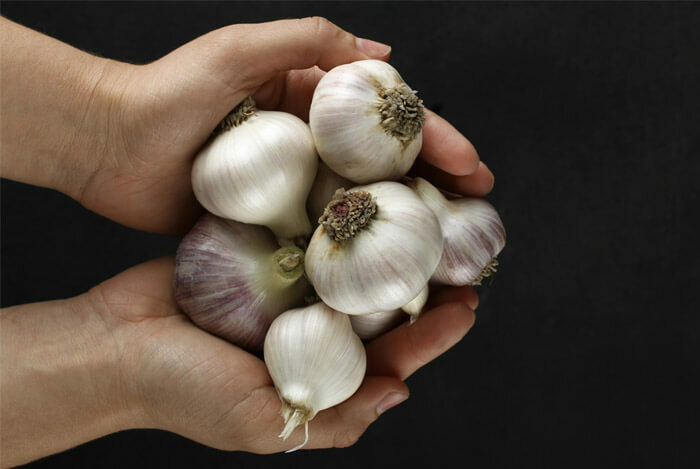 Over the course of the research, men who took garlic had only a 1.1% increase in plaque volume; but those who took placebo had a 5.5% increase. Garlic also appears to have an effect on lowering LDL cholesterol levels, although it’s modest at best, so I wouldn’t quit the statins or start filling up on junk food. High blood pressure is one of the biggest contributors to cardiovascular disease. 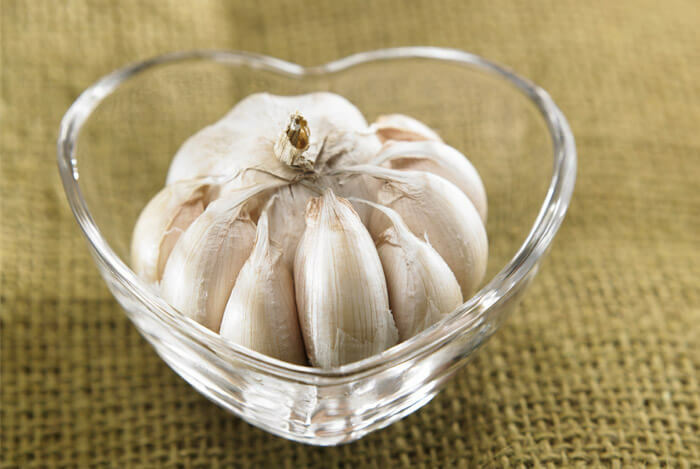 Garlic seems to have double the heart protecting benefits by bringing down blood pressure levels. 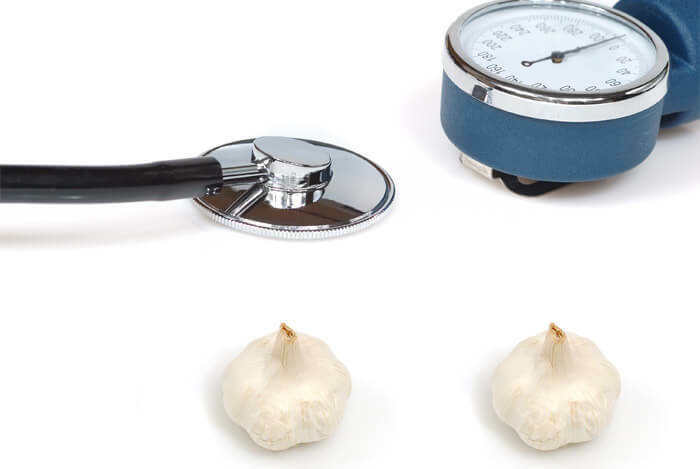 In fact, garlic extract between 600 mg and 1,500 mg was found to be just as effective as medication prescribed for hypertension, when taken over a 24-week period. 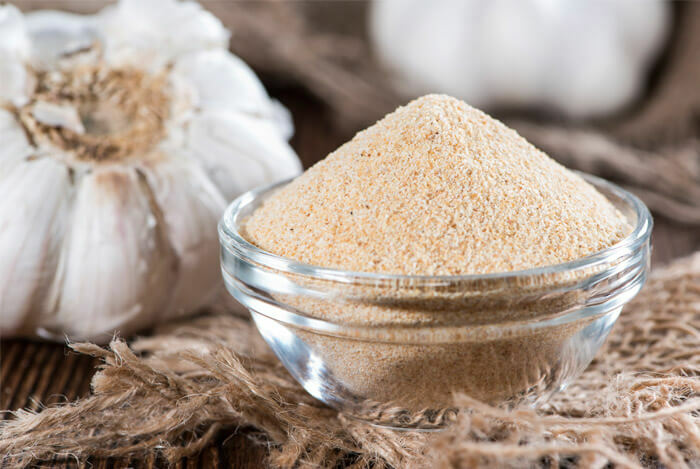 Other studies have shown garlic powder has a significant effect over 12 weeks, but only in mild cases of high blood pressure. Garlic is also said to be an excellent natural blood thinner. The National Cancer Institute recommends garlic as an anti-cancer food. Eating a lot of raw or cooked garlic is associated with a protective effect against stomach and colorectal cancers. Increased garlic consumption may reduce pancreatic cancer risk. While I recommend garlic as prevention method, it’s far from being a cure for this disease. I recommend you stick with the whole food instead of supplements, as there’s very little evidence that garlic supplements work. Aside from the stink, eating too much garlic has been associated with nausea, bloating, gas, heartburn and other stomach problems. If you experience any of these, cut back on your intake and consult a doctor if you need to. Overall, garlic is pretty amazing and I can see why it has been used throughout history for good health. I personally love garlic to add flavor to my food and help stay healthy.